Have you ever wondered how healthcare campaigns can actually keep people healthy? These campaigns can promote awareness by encouraging people to eat right, have regular check-ups, stay physically fit and active, maintain a positive attitude, reduce stress and practice safe living habits. HWDS develops campaigns that encourage a healthy lifestyle. We create healthcare newsletters, collaterals, promotional items, direct advertising, online e-communications for internal and external communications, event promotions, broadcasts, online distribution and social media. 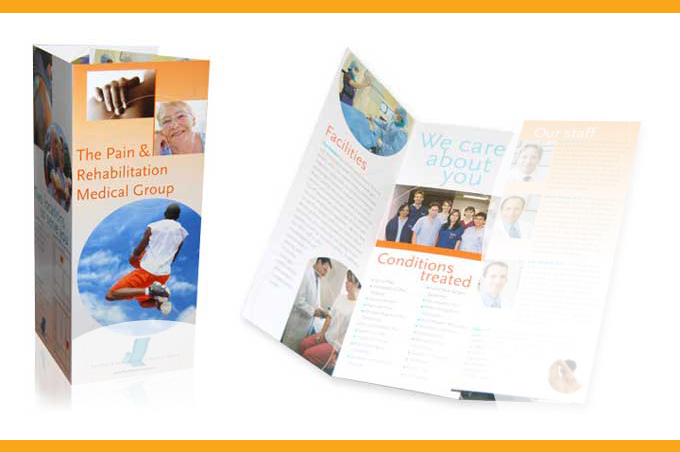 Below, I have included some marketing pieces that we designed for healthcare clients. 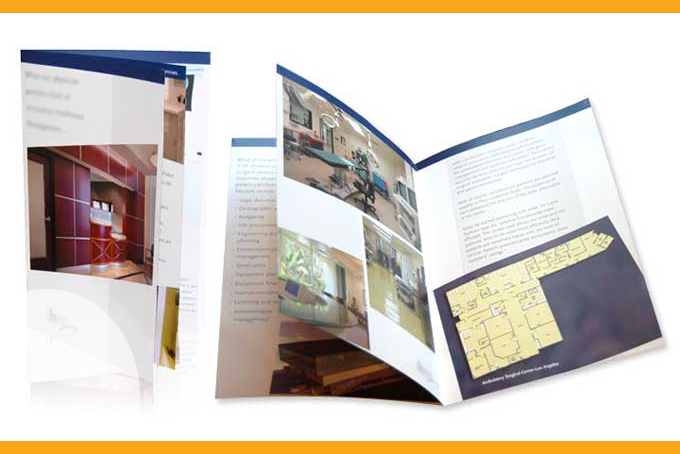 By using bright bands of color, interesting layouts, dynamic graphics of active people, quality printing and paper selections, we create exciting visual presentations. You can add photos of flowers, people holding hands, and warm patterns of color to help personalize the message as shown in the cards above. Let’s help people stay healthy with some “healthy” publications. 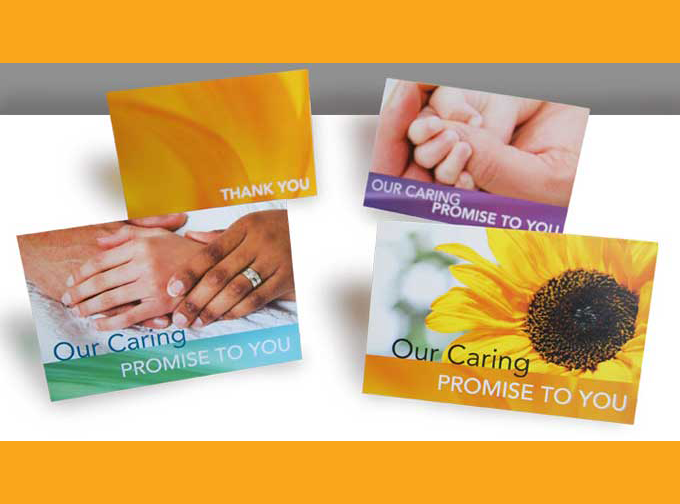 To see additional examples of our healthcare promotions, please visit the HWDS website at westdesign.com. To find out more about how HWDS can customize a marketing solution for your healthcare firm or client, please contact us at hwdesign@west.net. This entry was posted in Healthcare Marketing and tagged Advertising, Advertising and Marketing, Healthcare, Promotional merchandise by Successful Corporate Communications. Bookmark the permalink.